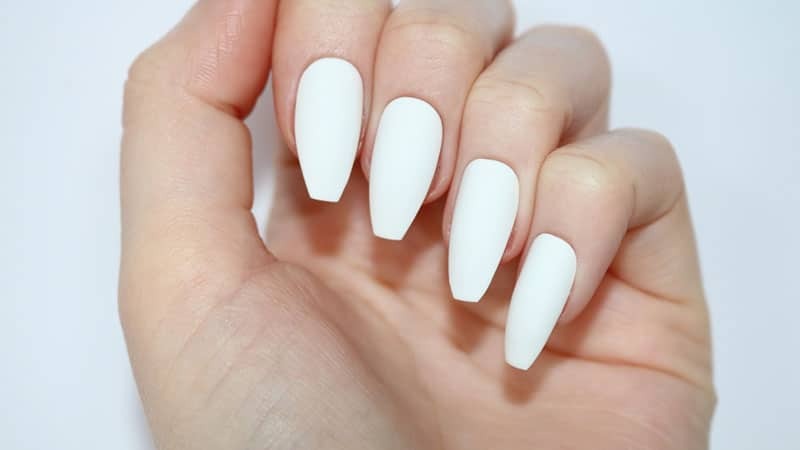 Coffin Nails: The 2018 Trending Nail Shape You Need to Try! Are you looking to try out a new nail shape? Sick of square and over oval? We’ve got the perfect shape for you: The trendy coffin nail! We’ve recently seen this glam shape on Lily Allen, Kylie Jenner and Rihanna- just to name a few! Coffin nails are perfect for those with naturally long nails or fans of a tapered nail tip. This shape has all bold beauty worthy of celeb status, without the crazy upkeep of stiletto! It’s basically a stiletto with a tapered edge. This edgy shape gets it’s name from the squared off tip that mimics the shape of a coffin. You may have also heard these nails referred to as ballerina for their resemblance to a ballet slipper! Whatever you choose to call them, remember to ask for this top trending nail shape next time you stop by the salon!